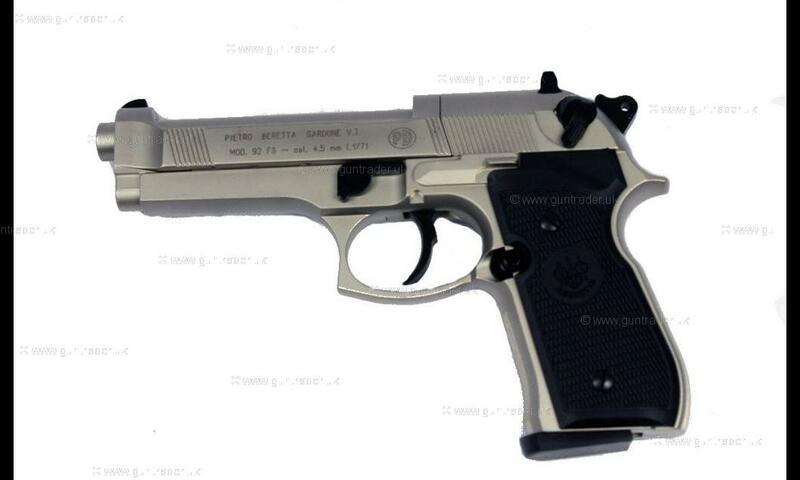 Beretta .177 92FS 4” Nickel CO2 New Air Pistol for sale. Buy for £209. 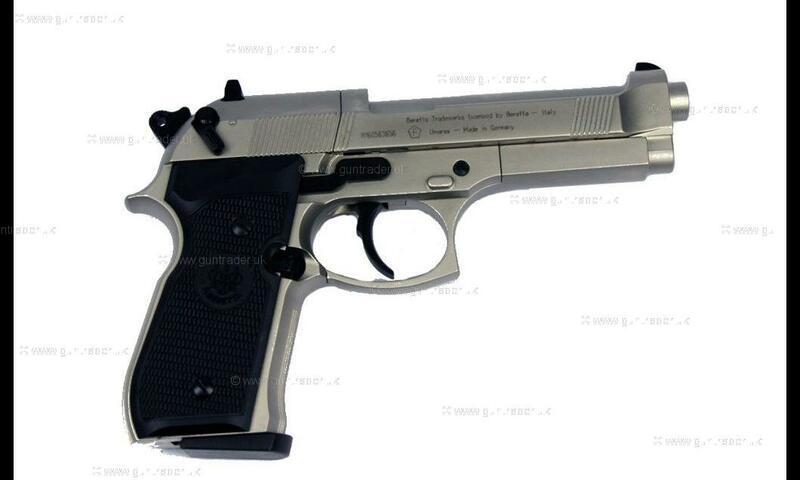 This is a CO2 powered pistol made in Germany by Umarex under licence to Beretta - this pistol is actually a copy of the very popular Beretta 92F. There is a quality feel to this pistol with enough weight to enable comfortable acurate shooting, they are great fun for short range target work coming with 2 x 8 shot magazines and a plastic carry case. We sell Crosman CO2 capsules at the following rates:- 5 for £4, 10 for £7.50 and 20 for £13.